Join us for the 3rd monthly ‘Studio 88 Series’ in Leicester Square. Katie Masson and Juan Fos are singer songwriters from the UK known as Katie plus Juan. They write and perform wonderful songs in a refreshingly varied mix of genres from soul, pop, country and Latin and have the ability to attract fans of all ages. Their soulfully versatile voices and intuitive connection with one another are what gains them fans at every performance. As a duo they play a variety of instruments mixing up their sound for each song. Their stripped back live set consists of acoustic guitars, bass, percussion and they often use their guitars as drums which adds a great dynamic to the sound. Their Album ‘Tom’s Garden’ is available now and their EP ’Equals’ will be out summer 2018. Jnay a Soul singer from west London who draws inspiration from the likes of Prince, Stevie Wonder, Marvin Gaye. He delivers electrifying tenacious live performances, with his unique vocal range; tastefully smooth and reassuring to sensuous power when needed which wows audiences from all listening music genres. Jnay was a finalist on XFactor season 7 and is also MOBO award winner. His Talent has taken him to stages all over the world and back again including London’s famous Royal Albert Hall Along side artists such as George Benson and the Black eyed peas to name a few. Reno & Rome are a four piece synth-pop band from Suffolk. They began decorating rock songs with glistening synths and melodic guitar hooks inspired by groove-based giants Prince and Level 42 along with the contemporary songwriting style of Oasis and Fleetwood Mac. Since 2016, the quartet has been honing in on their sound and accumulated a loyal fanbase. 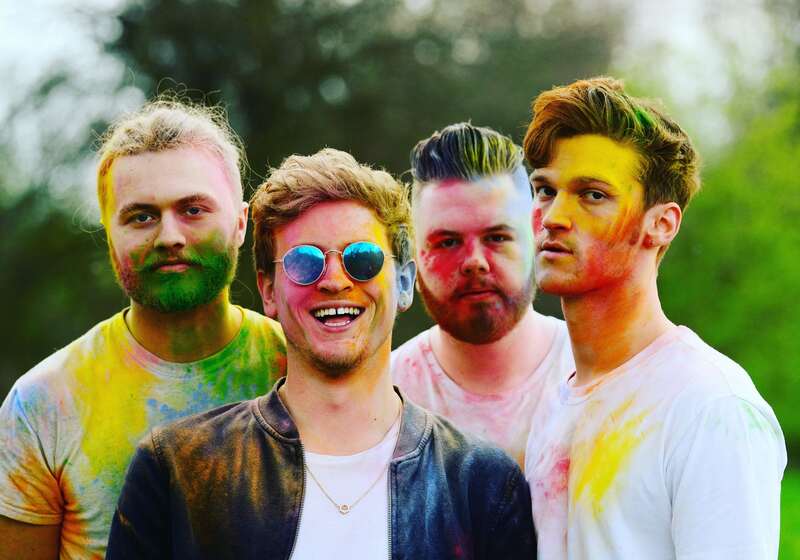 They receive constant support from BBC Introducing, backing from BBC Radio 2’s Dermot O’Leary and have supported The Feeling, The Hoosiers, and Amber Run.